We are thrilled to announce that we have a new callstats client library for Java-based WebRTC endpoints, our second library altogether. The new callstats.java library is available on our Github page for anyone to download. The library is meant for infrastructure and mobile applications written in Java (e.g., Android). With the Java library, WebRTC developers get to see metrics for infrastructure servers, for example, from Selective Forwarding Mixers (SFM), TURN relay servers and media servers. Our dashboard visualizes the infrastructure statistics on a dedicated Bridges page. Apart from the server metrics, such as CPU usage, it displays WebRTC-specific metrics as well: conference count, participant count, video and audio fabric count, etc. 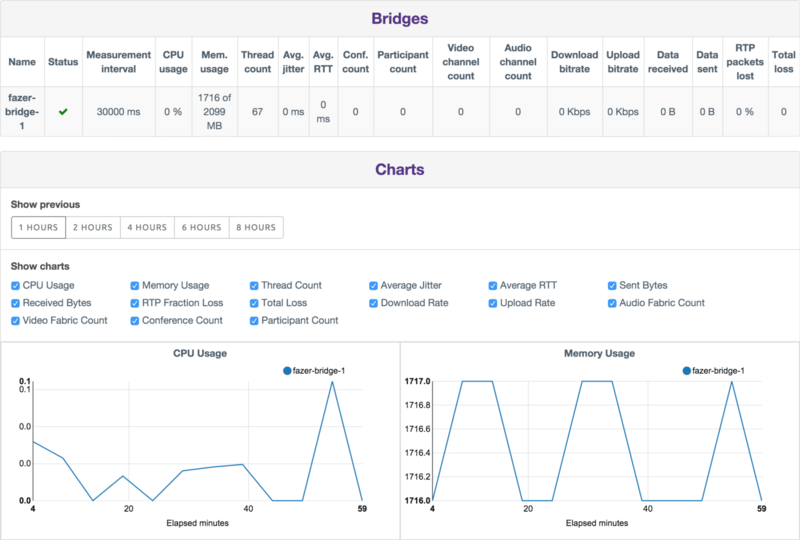 The complete set of metrics that are monitored with the Java library are listed on the bridge metrics page. We are happy to announce that the first integration of the callstats.java library is already done. It has been integrated into the Jitsi Videobridge by the Jitsi team, who we thank for their contribution! The Jitsi Videobridge is an essential part of Jitsi Meet client and it would not work without the videobridge. With the callstats.java library, WebRTC developers using Jitsi products can now monitor WebRTC traffic also from the Jitsi Videobridge. You can find the installation instructions on their Github page. If you make any changes to this file, then make sure you restart the videobridge (/etc/init.d/jitsi-videobridge restart).